LOS ANGELES: US federal authorities issued an emergency declaration for Alaska after a magnitude 7 earthquake struck on Friday, which left thousands without electricity and temporarily shut the state's most important oil pipeline. The authorities have been directed to provide assistance for Anchorage as well as Kenai Peninsular and Matanuska-Susitna boroughs, according to an alert from the Department of Homeland Security. The temblor hit 8 miles north of Anchorage. 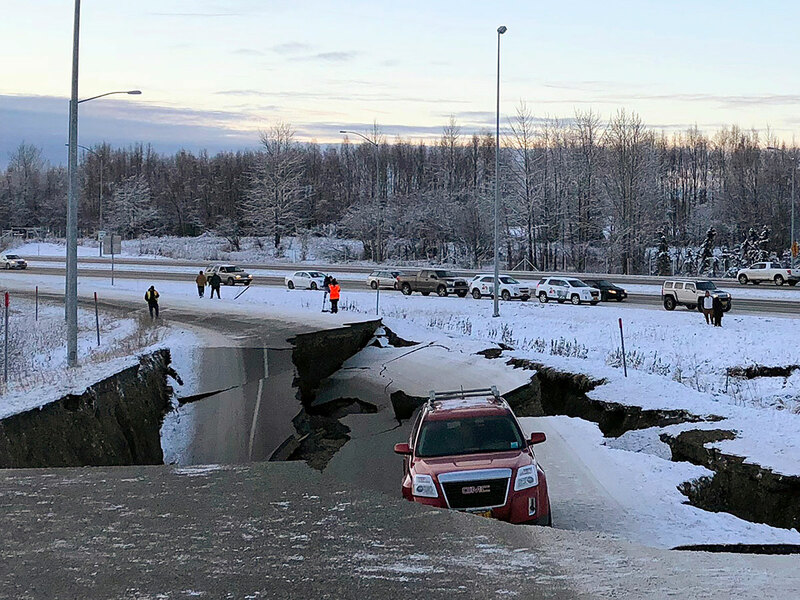 A magnitude 7.0 earthquake that struck near Anchorage, Alaska, on Friday morning crumbled roads and splintered buildings, sent residents scurrying for cover and triggered a tsunami warning for a time, authorities said. The booming quake hit about 8:30 a.m. (12:30 p.m. ET) some 10 miles northeast of Anchorage, at a depth of 21 miles, according to the US Geological Survey. Aftershocks continued after the tsunami warning was canceled. "It was very loud when it came," Anchorage Mayor Ethan Berkowitz said. "It was very clear that this was something bigger than what we normally experience. We live in earthquake country so folks ... but this was a big one." Republican Sen. Lisa Murkowski said there was major concern regarding recovery efforts and safety. Republican Sen. Dan Sullivan added that the state has already seen major aftershocks, “some above 5.0” magnitude. A tsunami warning was earlier issued Friday for coastal areas of Alaska's southern Kenai Peninsula after the earthquake struck, the National Oceanic and Atmospheric Administration said. "For other US and Canadian Pacific coasts in North America, the level of tsunami danger is being evaluated," the agency's US Tsunami Warning System bulletin said. The Pacific Tsunami Warning Center said no destructive Pacific-wide tsunami was expected, and there was no threat to Hawaii.